In most cases your hosts will present something to eat with the tea. Sometimes it’s fruit jam. Place a tiny portion jam on a small spoon and then sip the tea immediately after the jam has been placed on the tongue. A guest should ALWAYS bring a token gift when visiting a Russian home and perhaps your host will serve the box of chocolates you brought along. Someday, if you’re very lucky, your host will serve Tort Napoleon. That is a treat adopted to Russian kitchens from the French. Its delicious! The Russian word торт (thats ‘tort’ in English) means pie or even cake in some circumstances. By the way, a good guest will tell your Russian hosts that the Tort Napoleon was “very tasty” (Очень вкусный! as in ‘OH-chen KOU-snee’). To prevent the custard catching on the bottom of the pot use a SimmerMat, but be sure to turn the heat down to low before using, and follow the manufacturers instructions. When ready to serve, carefully remove the cake from the tin. 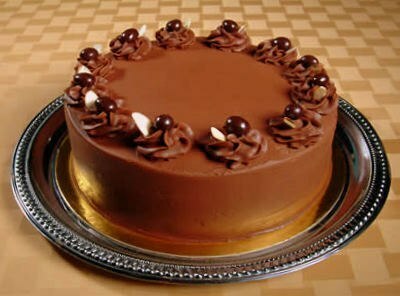 Decorate with chocolate shaving and walnuts or slivered almonds, slice and serve. Goes nicely with a dollop of cream. 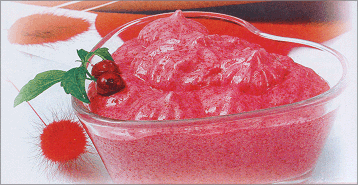 This cranberry mousse if one of my fondest memories from early childhood when I tasted it at our dacha/country house for the first time. Place the cranberries in a medium-size saucepan, add the 1/3/ cup of water, and bring to a boil. Reduce heat to low and simmer until cranberries pop open, 8-10 minutes. Remove from the heat, let cool, then mash the cranberries thoroughly. Pass them through a fine sieve into a clean saucepan. Add the 2 and a half cups water and bring to a boil. Reduce heat to low and gradually add cream of wheat and sugar, stirring constantly. Simmer stirring until the sugar is completely dissolved and mixture has thickened, 10-15 minutes. Remove from heat and let it cool. Put the mixture in a large bowl and beat with an electric mixer set on the highest speed until the mousse doubles in size, 7-10 minutes. Transfer to individual serving bowls and refrigerate until chilled. Serve with lingonberry preserve and whipped cream. 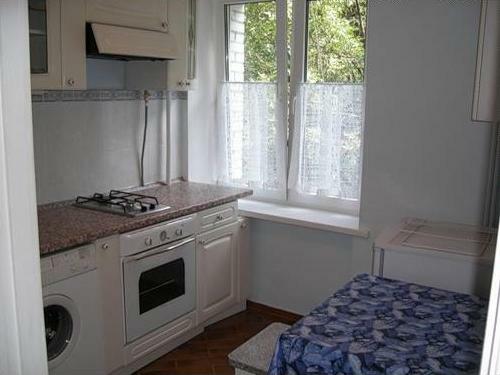 Typical kitchen in Eastern Europe. 300 g of flour plus 1 tbsp. l.
Preparation: 1 hour 20 minutes. A. Remove the seeds from the apricots. Chop the cold butter. Two. Mix 3/4 flour, butter, 1/3 of sugar and half the vanilla. Chop the mixture with a knife so that it turned into crumbs. Add 1 egg. 2 tbsp. l. ice water and a pinch of salt. 4. Meanwhile, in blender break the remaining eggs, pour the milk, Stir in remaining sugar, cream, remaining 1 tbsp. l. flour and vanilla sugar. Whisk until smooth. Quickly roll out the dough 5 and place it in a baking pan greased with butter as well. got to the bottom with high bumpers. Pinhole of the dough with a fork, put it on the apricot mixture and pour in a blender. 6. Sprinkle a little sugar on top and place in preheated 180 ° oven for 35-40 minutes. Serve chilled or slightly cooled down. When baked apricots are usually given acidity. If you want to remove it or reduce roast apricots with 100 g of honey in nonstick skillet and flip on the screen before you spread on the dough. If desired, apricots can be replaced by other ripe fruits: cherries, plums, peaches, pears. 300 г муки плюс 1 ст. л. 1. Выньте косточки из абрикосов. Мелко нарежьте холодное сливочное масло. 2. Смешайте 3/4 муки, сливочное масло, 1/3 обычного сахара и половину ванильного. Порубите смесь ножом так, чтобы она превратилась в крошки. Добавьте 1 яйцо. 2 ст. л. ледяной воды и щепотку соли. 3. Быстро замесите тесто, но не перестарайтесь – не вымешивайте слишком долго, просто до однородности. Скатайте из теста шар. заверните в пленку и положите в холодильник на 1 ч. 4. Тем временем в блендер разбейте оставшиеся яйца, влейте молоко, всыпьте оставшийся сахар, сливки, оставшуюся 1 ст. л. муки и ванильный сахар. Взбейте до однородности. 5 Быстро раскатайте тесто и выложите его в форму для пирога, смазанную сливочным маслом, так. чтобы получилось дно с высокими бортиками. Наколите тесто вилкой, выложите на него абрикосы и залейте смесью из блендера. 6. Сверху чуть присыпьте сахаром и поставьте в разогретую до 180 °С духовку на 35-40 мин. Подавайте остывшим или слегка охлажденным. При запекании абрикосы обычно дают кислинку. Если хотите ее убрать или уменьшить, поджарьте абрикосы со 100 г меда на антипригарной сковороде и откиньте на сито, прежде чем выкладывать на тесто. При желании абрикосы можно заменить другими спелыми фруктами: вишней, сливами, персиками, грушами. Next is the recipe for a delicious Mocha cake! 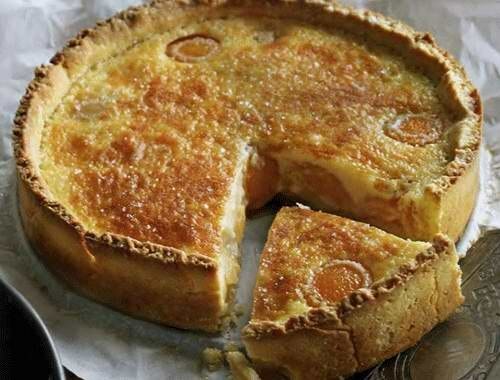 – Beat the egg yolks and gradually blend in sugar, lemon juice and zest. – Coffee dissolved in hot water, and add to the yolks. – In a separate bowl combine flour, baking powder and salt in small portions, and stir into the egg mixture. – Separately whip proteins in thick foam, and then add the batter carefully so as not to lose the volume. – After that, we spread into a greased form (diameter approximately 22 cm) and bake at 180 degrees for 20 minutes. – Once dough is formed cool for at least 10 minutes. – Mix in saucepan sugar, coffee and liqueur and heat the over medium heat until the consistency of thick syrup. – Beat the egg yolks and gradually introduce them to the hot syrup. – Separately, we shall pound butter, until it becomes air, and gradually add the eggs and coffee mixture. Optional: on top decorate the cake with nuts. Взбиваем яичные желтки и постепенно вводим в них сахар, лимонный сок и цедру. Кофе растворяем в горячей воде и добавляем к желткам. В отдельной посуде просеем муку, разрыхлитель и соль и небольшими порциями введем в яичную смесь. Отдельно взобьем белки в густую пену, а затем добавим в тесто и аккуратно, чтобы не потерять объем, перемешаем. После этого выкладываем в смазанную жиром форму(диаметр примерно 22 см) и выпекаем при температуре 180 градусов 20 минут. Перед тем, как достать выпечку из формы, охлаждаем ее не менее 10 минут. Смешаем в кастрюле сахар, кофе и ликер и нагреем на небольшом огне до консистенции густого сиропа. Взбиваем яичные желтки и постепенно вводим в них горячий сироп. Отдельно разотрем масло, пока оно не станет воздушным и постепенно добавим в яично-кофейную смесь. Сверху украшаем торт «Мокко» орехами. Brilliant blog! 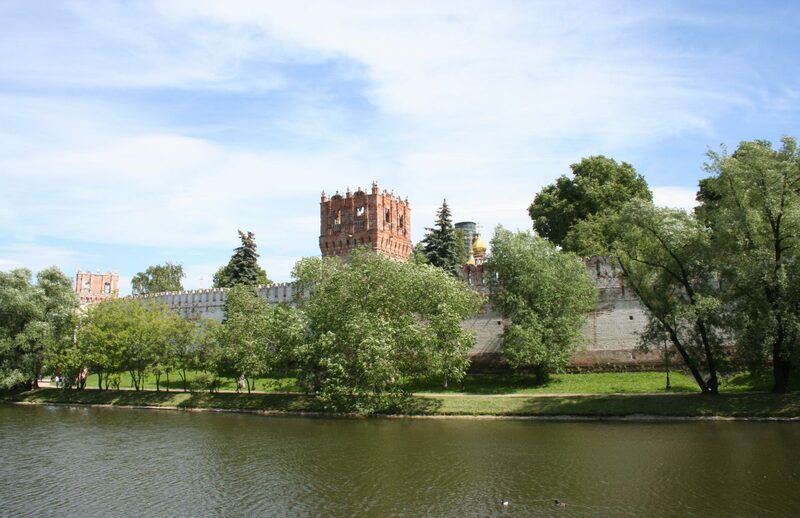 I’m looking for inspiration for.my around the world in eighty bakes blog so any suggestions would be very welcome as I am still yet to visit Russia .